We bought a Nest Thermostat! Simona posted about it here last week, and we really liked it, so we bought one. We got in mail today and I was really nervous about running into some kind of problem. 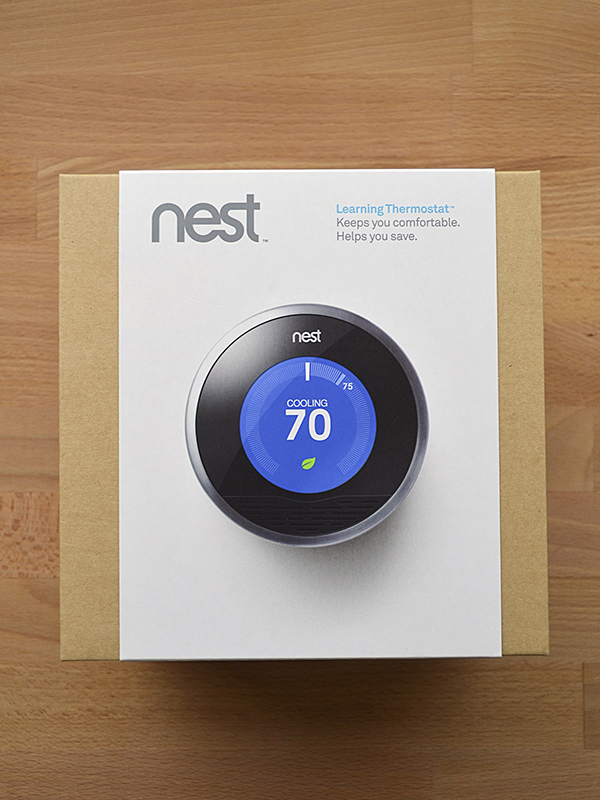 Nest says it's very easy, but in my experience nothing is as easy as it seems. Everything about this thermostat is pretty. The packaging, the instructions, the tools, everything! It's amazing what good design can do. I was actually excited about a thermostat! Isn't that the prettiest screw driver you've ever seen! 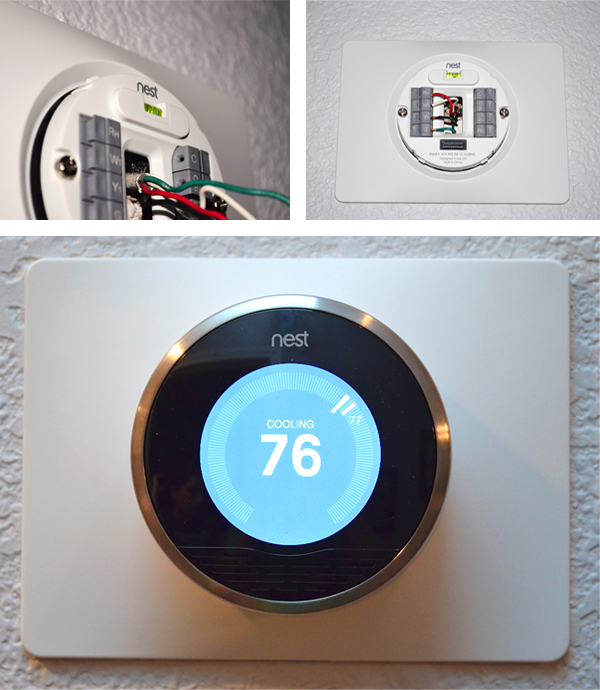 I'm happy to report that installing the Nest really was as easy as it seemed. We installed it with no problem at all! Set up was VERY simple, and we got through it without reading any instructions at all. Probably not a good idea, but Jon (my husband) and I are lazy. Look how neat those wires are! And there is a built in balance so you don't have to get out a laser leveler. We decided to use the optional plate it comes with because we were too lazy to paint and patch. Also, we have those textured walls, that I don't like, so I thought it would take away from the clean pretty Nest if we mounted directly onto the wall. I have to seriously convince my bf to let me spend the money on this! It's great, we really love it!